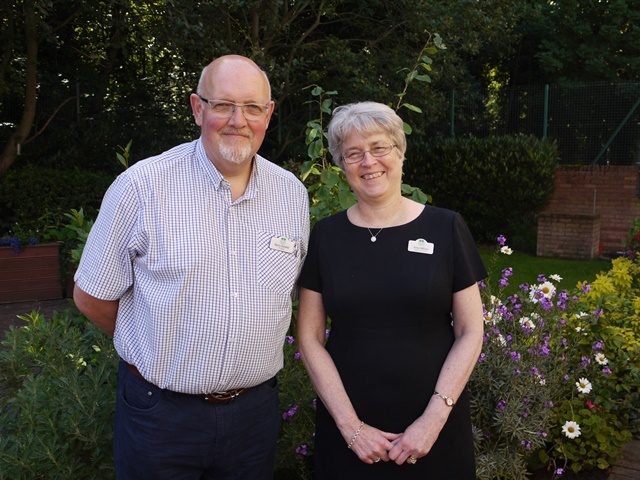 Woodlands Hospice is delighted to announce the appointment of new Chair Barry Bartlett. Barry has been involved with the Hospice for a number of years, initially as the architect for the re-development works at the Hospice a number of years ago but more recently as a trustee. “I have been proud to be involved with Woodlands Hospice for a number of years as the service and care provided by Woodlands is something I feel passionate about and I feel privileged to play a small part in such a wonderful organization”. A happily married family man who is passionate about people and his home city of Liverpool, Barry says he owes a lot to the City - and it has made him who he is. He went to school, studied here and has spent his working life on projects in and around the City. He studied initially at Scarisbrick Hall School, Ormksirk then went on to read Architecture at Liverpool Polytechnic. Later at John Moores University he gained both RIBA (Royal Institute of British Architects) Part 1, 2 and 3 levels and qualified with BA (hons) Dip Arch RIBA. Barry has been involved in Architectural educational support with students who are members of RIBA and in recent years has mentored a number of part 1 architectural students as they head towards graduation and employment helping them with CV’s and presentation skills. He has also provided career and further educational advice to schools and colleges and is a business mentor. “During these challenging times we need to be positive and reflect on the changes we need to make to allow our services to progress but we also need to look at the issues with fresh eyes and a vision for the changing times ahead. With the support of the patients, families, staff and volunteers Woodlands can work through the difficult times together and we can come through stronger and more prepared to take on the new challenges. I feel honoured to have become the Chair and I look forward to working with everybody to help to do what Woodlands does best”. “As Finance Director at CLA and a member of the Finance Committee at Woodlands Barry fully understands the challenges we face and indeed the current funding challenges. I fully endorse his views on the way forward for the Hospice during these difficult times and look forward to working with him to achieve our aims”.